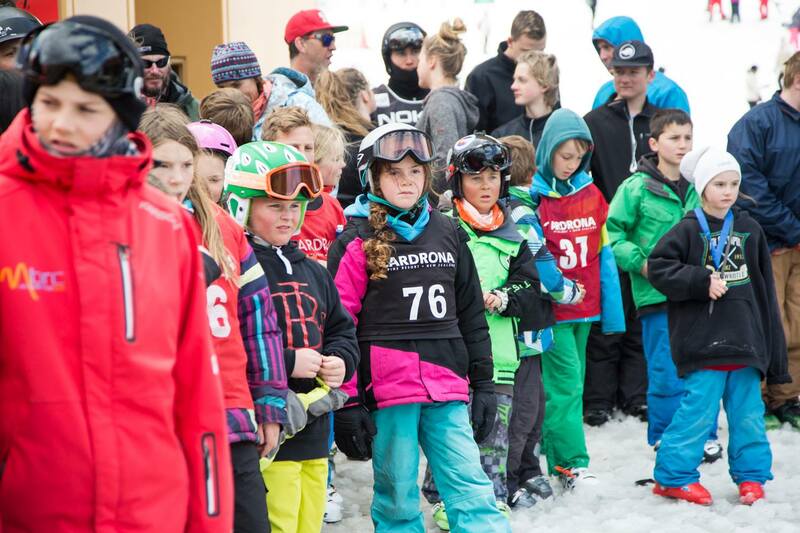 The Cardrona NZ Junior Freeski and Snowboard National Championships got underway in Wanaka today with over 200 competitors aged five to 18 competing in the Smith Boarder-cross, Snowboard Giant Slalom and Salomon Ski Slopestyle. 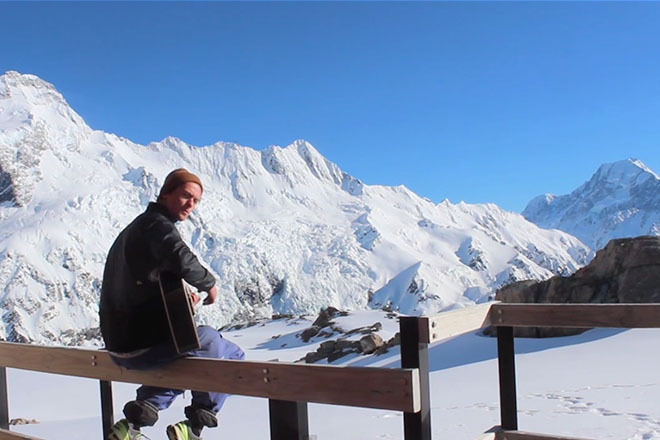 Competitors had travelled from throughout New Zealand, and a large contingent from Australia, to take part in this long running event which has for many years showcased the talents of young snow sports athletes and provided a stepping stone to the international stage. Blustery conditions caused intermittent wind holds on the lifts to add to the challenge of the day and adjustments had to be made to the format of most events to ensure each competitor could get a final result. However, after poor weather closed the mountain yesterday (Monday) the hardy young competitors were pleased to be out on course today and made the most of the opportunity. Competitors were split into age divisions including Primary Years 1-2, Primary Years 3-4, Primary Years 5-6, Intermediate Years 7-8, Junior Secondary Years 9 – 10 and Senior Secondary Years 11 – 13. For the first time a National Schools Championship has also been added to the programme with competitors earning points towards individual placings as well as for their school. Riders in the Smith Boarder-Cross were each able to complete one timed run of the course and final results were taken from these times. 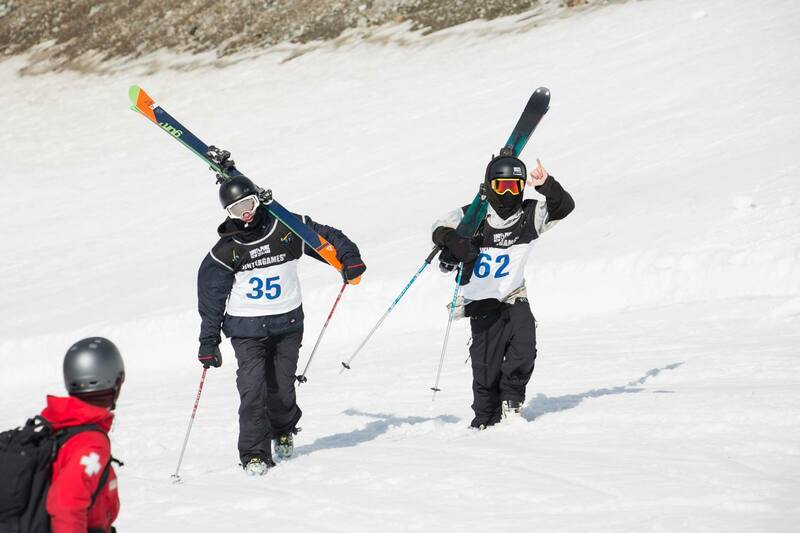 In the Snowboard Giant Slalom Year 1-8 boys and girls plus year 9 girls were able to complete two timed runs of the course while the rest of field had their final times taken based on just one run on the blue course. 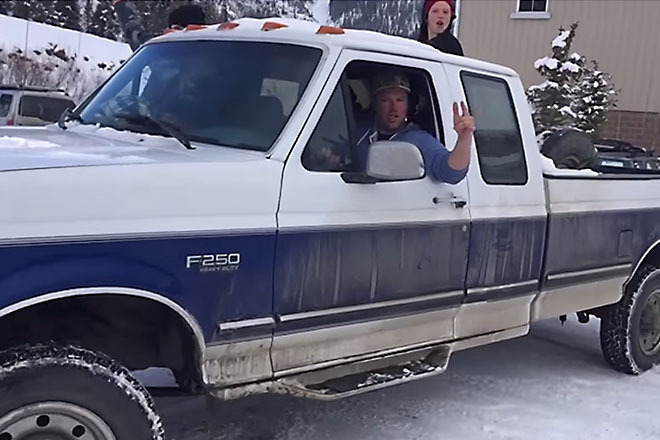 Competitors across several age groups were able to claim wins in both of today’s snowboard disciplines, putting themselves in a strong position for the overall titles which will be decided when competition finishes on Saturday. 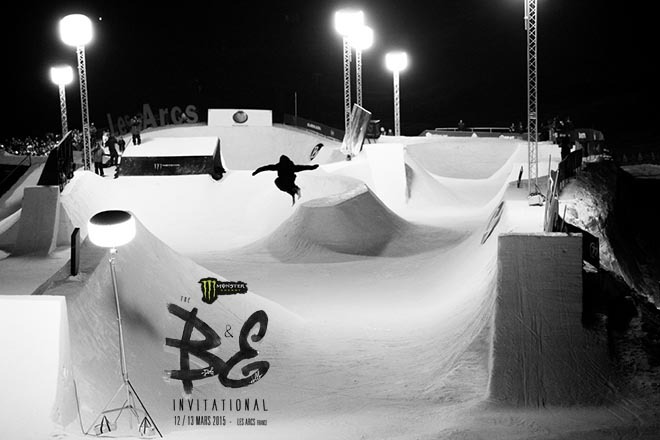 The Salomon Ski Slopestyle competition was split across two venues according to age of the competitors. Junior and Senior Primary boys and girls plus Intermediate girls competed in the Lil’ Bucks Park and had just one run to impress judges. The year 3-4 boys’ category saw a particularly tight finish with Finley Melville-Ives (Wanaka) taking the win with a smooth, technical run which included spins on every feature and stand out rail tricks. 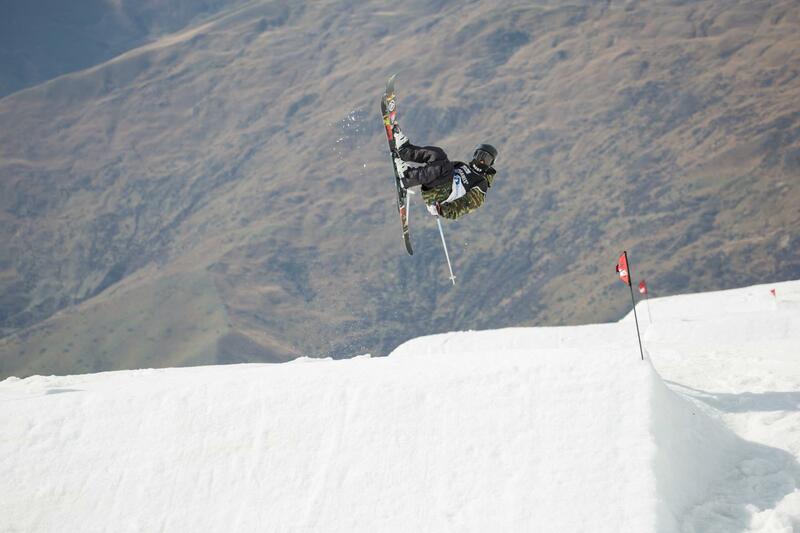 Australia’s Lily King was the standout of the young female competitors, incorporating a tidy 360 in her run. Meanwhile the Intermediate boys plus Junior and Senior Secondary boys and girls were able to complete two judged runs on the Antlers Alley course by hiking from the bottom of the course back to the top while the lift was on wind hold. 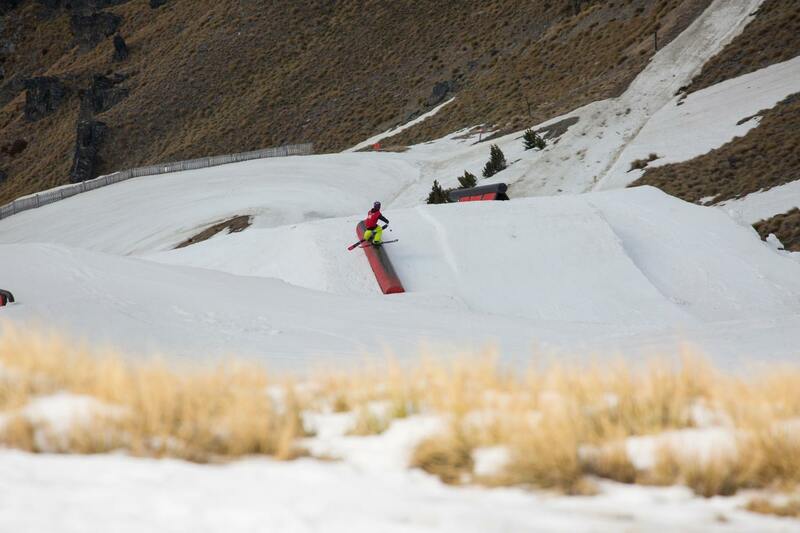 Maggie Little (Wanaka), a long-time Junior Nationals competitor and one of the youngest to take on the Antlers Alley course, had the judges cheering when she completed a well-executed run with a front two out of the bottom rail, dominating the year 9-10 girls’ age category. Nico Porteous (Christchurch) put together the whole package on his second run, including spinning both ways on the rails and on his cork 7, just edging out Fraser McClellan (Taupo) for the win in year 9-10 boys. Margaux Hackett of France started her winning run in the girls’ years 11-13 category with a switch hit on the first jump, gaining good amplitude and executing a clean run for the top score in her age group. While Wanaka’s Finn Bilous topped the highly competitive years 11-13 boys’ field with a technical run incorporating stylish grabs. 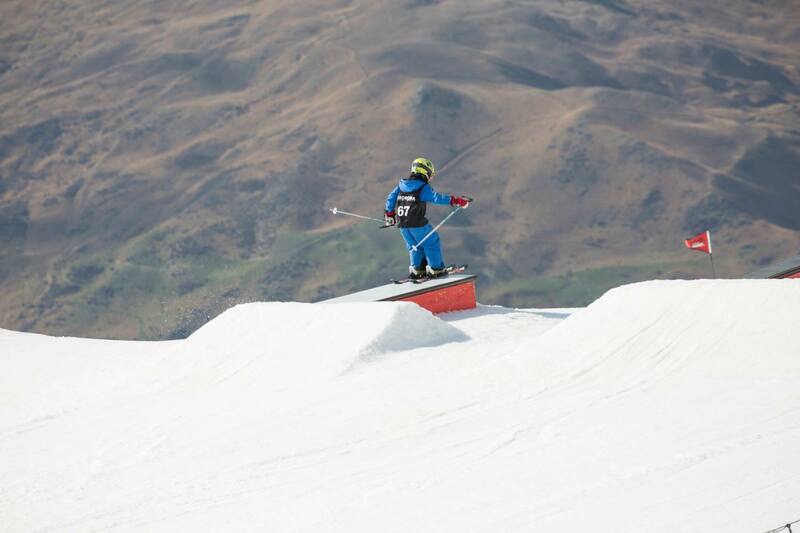 Competition continues tomorrow at Cardrona Alpine Resort with the Ski Giant Slalom, Smith Skier-cross and Bonfire Snowboard Slopestyle. The week will conclude with a prize giving ceremony at the Lake Wanaka Centre, Ardmore Street, Wanaka on Saturday. 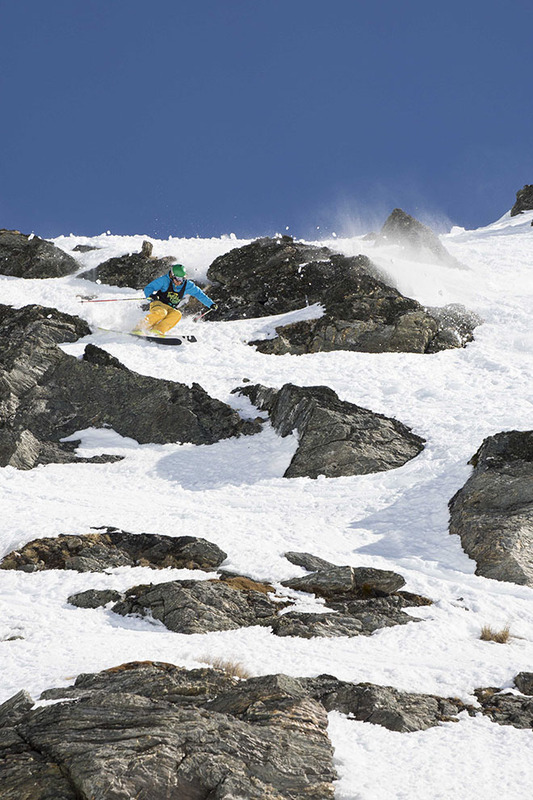 Photos and footage will be shown of the Cardrona Junior Nationals event and the grand prizes will be awarded.